I’m sure you’ve noticed that a number of standard harmonic minor guitar scales were covered on this blog earlier this year. Now it’s time to discuss some sharp and flat harmonic minor scales. 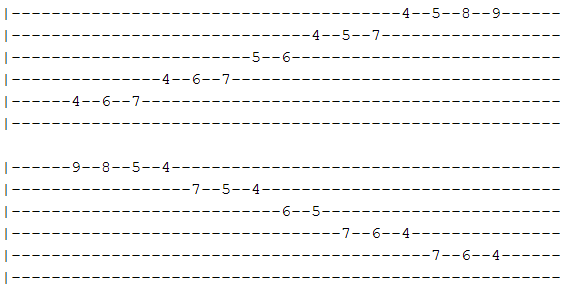 First up is the C#/Db harmonic minor guitar scale. But before anything else, let me just quickly share that harmonic minor scales are really helpful when you improvise over a song. They may support you with some odd or unusual sounds unlike the major or pentatonic scales, but the fact is these harmonic minor scales can add some interesting flavor to your music. 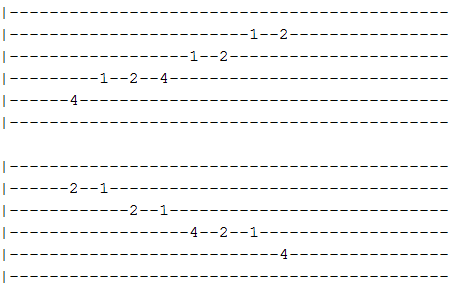 The first figure below tells you to play the first note (root note of C#/Db) on the 4th fret of the A5 string. And then proceed until you reach the last note on the 2nd fret of the B2 string. Here’s another interesting pattern you can play. You first start on the 4th fret of the A5 string and work your way up to the end of the second set on the 9th fret of the E1 string. Thereby you reach a sound two octaves higher than the first root note of C#/Db. As with many other scales this one is also a great topic for practicing and exercising your fingers. Plus there’s also a benefit of memorizing different notes on the fretboard. Here’s a short video clip presenting a different pattern with 2 octaves starting on the 9th fret of the E6 string. If you want to learn more you can visit all-guitar-chords.com and get the full pattern for the C#/Db harmonic minor scale (click here).